Gray and dark this morning after a gloriously sunny and warm weekend. Last week a short trip southeast for the day, where spring was a little further along. Trees plump with leaf and flower buds, poised to burst. Daffodils in full bloom in protected stone wall hollows. In town for only a few hours on a quick errand, I had the chance to briefly visit the Highland Cemetery. Calm and peaceful, tucked into the center of town, a manicured green space. Headstones of all sizes and designs, from simple to elaborate, tributes to those loved, memorials to lives lived. 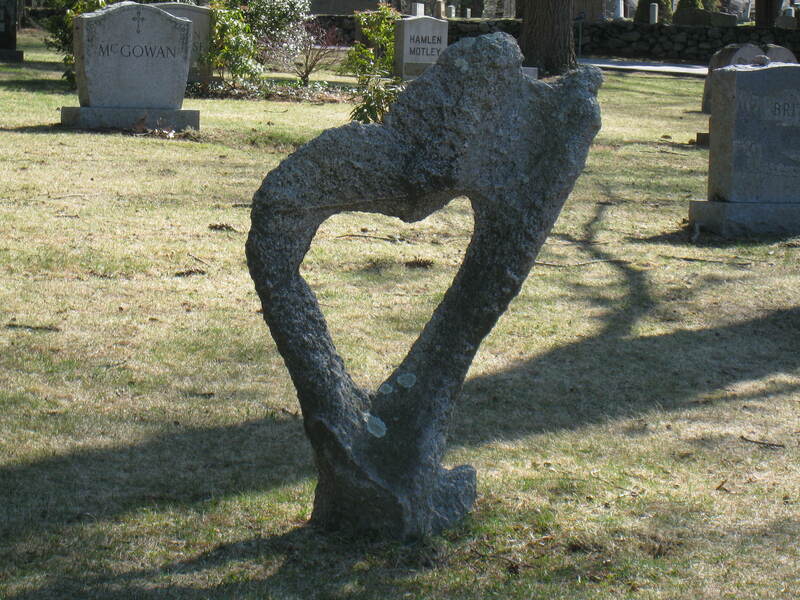 Among the many a large heart stood out, carved only by nature, holding its own among the larger blocks of granite. Featured on the itinerary of many travelers, graveyards are the final destination for some, and a place to honor, to remember and pay tribute. For others, a nice place to walk the dog, learn about local history and study memorials and carvings in stone.